It’s easy to laugh about how many Japanese people believe that they live in the only country in the world with four distinct seasons, but I have to admit that people here really do seem to take the change of seasons a lot more seriously than people in other countries do. People really go the extra mile preparing seasonal dishes, or celebrating seasonal activities such as cherry and plum blossom viewing or going to see the autumn leaves. I’ve met several people that travel all over the country almost every weekend to see different kinds of leaves in various places. I was looking for information about autumn leaves on the internet and stumbled across this amazing website: http://kouyou.nihon-kankou.or.jp/. It has daily updates about the state of autumn leaves all over the country. 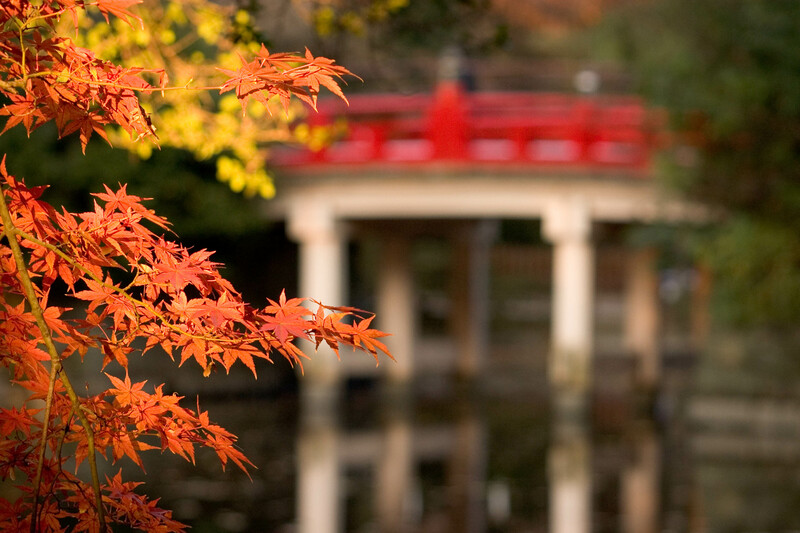 It’s organized by region, but you can search with criteria such as leaves in temples, leaves by waterfalls, leaves with illumination, leaves accessible by cable car, and more. It looks like the leaves are going to be changing in Tokyo around the end of November or early December this year as usual. Unfortunately, the site is all in Japanese. There’s nothing that really compares to it in English, but this page at Japan Guide has a little information: http://www.japan-guide.com/e/e2014.html. Way cool site. I plan to come back and spend some time on it over the next several days.
. . . I invite you to visit and navigate around it. Top of the Front Page right is, indeed, all about Autumn and Kouyou in Japan.